In a perfect world, people would judge one another based on their intelligence, talent, qualifications, even their kindness and whether or not they treat others with respect. Sadly, our world is far from perfect, and as a result, most people make a snap judgment about anyone they meet based almost entirely on their physical appearance. In fact, first impressions occur in 30 seconds or even less. Some experts claim it only takes seven seconds to form an opinion about a person you are meeting for the first time. And once you've made it, some six to eight positive encounters will be necessary to reverse that poor first impression. Are you afraid that your unattractive smile is causing people to think less of you? One of the most popular cosmetic dentistry procedures, porcelain veneers can help you make a fantastic first impression. Check out some of the incredible veneers before and after pics on our website, and keep reading for answers to all your veneer-related questions! Given how much value Hollywood insiders place on their smiles, it's no surprise that veneers got their start in California. In fact, dentist Charles Pincus invented them way back in 1928 as a temporary method of changing the appearance of actors' teeth for a film shoot! However, these veneers were only a temporary solution. It wasn't until the 1950s that the process of bonding veneers to etched enamel was developed, and it would be another 20+ years before composite resins and new methods of bonding brought veneers closer to a "permanent" solution. Nowadays, veneers typically last between 10 and 30 years before needing to be replaced. Da Vinci porcelain veneers are the most durable and longest-lasting of all products currently on the market, which is why our office uses them exclusively. Made from high-quality translucent porcelain, da Vinci veneers resist staining from coffee, tea, cola, red wine, and even cigarette smoking. They also come with a limited lifetime warranty, which makes them virtually worry-free. Da Vinci veneers are the only brand that offers such a warranty. What Dental Problems Can Veneers Solve? Porcelain veneers offer comprehensive cosmetic benefits. Unlike tooth whitening, which can't address gaps between the teeth, chipping, cracking, or uneven teeth, and orthodontics, which can realign teeth but does nothing to reverse staining or yellowing, veneers tackle unsightly teeth in every way. You can think of them as the best of both cosmetic worlds! Veneers give you the appearance of straight, even teeth that are also sparkling white. Their shade can be customized to match any existing teeth that won't receive veneers so that they look natural. They are crafted to fit your teeth perfectly. 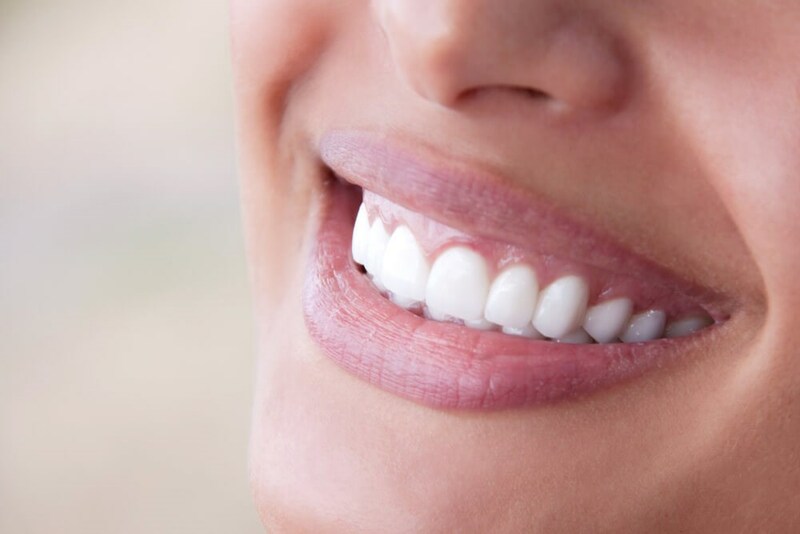 One common misconception about porcelain veneers is that they weaken the patient's natural teeth, but nothing could be further from the truth. In fact, da Vinci veneers create a bond that actually strengthens your natural teeth! Because of this strengthening quality, you never have to sacrifice your dental health for your appearance. Many patients think that the process of obtaining a stunning new smile through the use of da Vinci porcelain veneers is a lengthy and complicated one. Again, this is far from reality. You will only need two appointments to get your veneers, each one lasting only about two hours. Imagine that -- the smile of your dreams can be yours in just four hours total! At the first appointment, a laser digital 3D impression of your teeth will be made. That impression is sent over to da Vinci Studio, where the in-house artisans craft your veneers to perfectly fit your own teeth. This process takes about two weeks. After the veneers have arrived back in your office, the second appointment can take place. During this session, the veneers will be permanently bonded to your teeth. Believe it or not, this takes only about two hours, maximum. First, of course, the cosmetic dentist will ensure that you're getting the very best fit, functionality, and appearance. And that's it! You will walk out of the office ready to live your best life, with an incredible new smile. What is a beautiful, sparkling smile worth to you? Would you put a price tag on the ability to smile confidently, to laugh out loud without covering your mouth, to have teeth that you're not ashamed to show? It's difficult to overestimate the negative impact of a smile made unsightly by crooked, chipped, and yellow teeth. Yes, da Vinci veneers cost more than their competitors', but we believe that the extra cost is absolutely worth it. These veneers are expertly crafted, longer lasting, higher quality, and more natural looking than any other similar product on the market today. In other words, choosing da Vinci veneers is an investment -- in your smile, your confidence, and your sense of well-being. When you make an appointment to discuss how da Vinci porcelain veneers might fit into your lifestyle, we'll take a picture of your smile. When you see the difference between veneers before and after, you will be amazed. Time and time again, we have seen people so thrilled with the results of their veneers that they can hardly contain their smile. Some people are even brought to tears by the difference between their previous and their current smile. Ready for a Fantastic New Smile? Just think -- in a mere two weeks, your smile could be totally transformed. If you have marveled at the veneers before and after pictures on our website and wondered if you're a good candidate, wonder no more. Contact Dallas Laser Dentistry to schedule a consultation, and get ready to turn the world on with your smile!